It hasn’t been fun to be the ACC’s public relations arm of late. Coaches have been fired right and left while a hall of famer called it quits. Scandals have rocked North Carolina, Georgia Tech and now Miami. 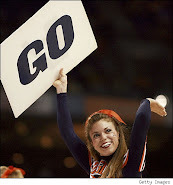 Enter, Georgetown to help turn the white hot negative spotlight off of the ACC and back on the Big (L)east. 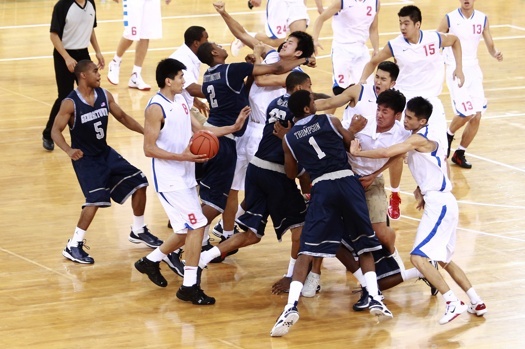 According to the Washington Post, a benches-clearing melee erupted in the fourth quarter as Georgetown played the Bayi Rockets of the Chinese Basketball Association as part of their “goodwill” tour to China. 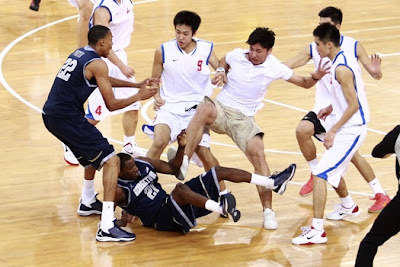 The scuffle came one day after U.S. Vice President Joe Biden attended the Hoyas' game against the Shanxi Zhongyu Brave Dragons. The game was unusually physical, with 28 fouls assessed to Georgetown and 11 to the Rockets, according to the report. When Georgetown guard Jason Clark was fouled hard by Rockets forward-center Hu Ke, the two got into a shoving match, and the bedlam began. Head coach John Thompson III pulled his team off the court as fans threw plastic water bottles at his players. Tensions were reportedly building throughout the contest. Earlier in the game, a Rockets player yelled at Thompson during a timeout, and later in the second half Georgetown forward Nate Lubick exchanged words with a Rockets player. "Tonight two great team played a very competitive game that unfortunately ended after heated exchanges with both teams," Thompson said in a statement obtained by the Post. "We sincerely regret that this situation occurred." At the time of the fight, the game was tied at 64 with nine minutes remaining. Georgetown was scheduled to go to Shanghai Friday, but it is unclear whether they will continue with the “goodwill” tour. As bad as the photos are the video is even worse. Don't shop Wal-Mart. That will teach them.